I’m a working mom. A full time working mom to be exact. I’m up before my daughter is. I’m in the car driving an hour to work and then sitting and running around for the next 9 hours. I’m back in my car driving another hour back home which leaves me exactly two hours to spend time with my daughter and husband. What do I do in those two hours you ask? I’m prepping for dinner, shoving the cat some unwanted scraps from last night’s meal in her dish, scrubbing the dishes, picking up toys or old wads of paper Lily didn’t want to use around her play area, putting a load in the wash and remembering that I can’t do it all. In those precious 2 hours I realized, I’m doing everything I don’t need to be doing. 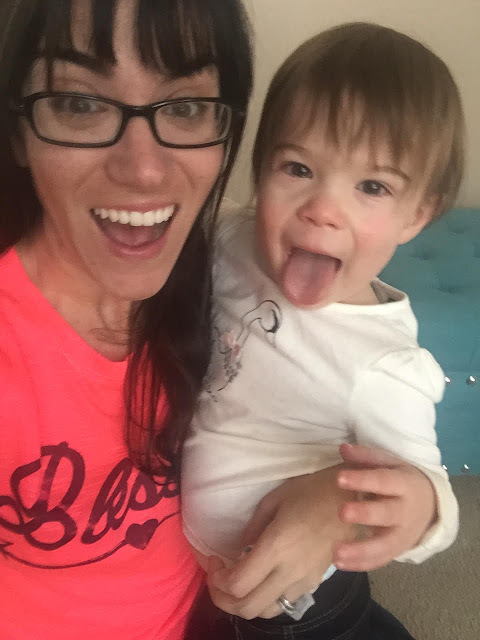 What I should be doing, is spending it with my two year old toddler. I should be coloring with her at her table, playing in her colorful tent, reading a book in the corner or kicking a plastic ball around the family room to score that amazing goal between the living room pillows. I should be laughing, giggling or tickling her sweet feet. I should be doing all the things I can to spend those precious few hours with her at this tender age. After all, those two hours go by like a flash and I’m jolted back into Mom mode of getting my house clean and organized again. I realize the other night that instead of just cooking by myself, I should be encouraging Lily to help me. I should be making sure that she helps put her clothes in her laundry basket or helps me pick up the toys in her play room. All these things that I do myself, should be a game to her to not only encourage her to help with things around the house, but because it’s extra time for her and I to be together. Isn’t that the important thing? I only get two hours. I need be present in them. The dishes and cleaning can wait until she goes to bed because right now, I need to just be with her. I need to model what a mother should be and that’s being present with and for them. After all, being present is my word of the year and I need to keep reminding myself to be in the moment with her. I love that we have daughters around the same age. I can't wait to read more about your blog! Love this!!! I am a full time working Mom too, so I get about the same amount of time at night before the kids are going to bed. 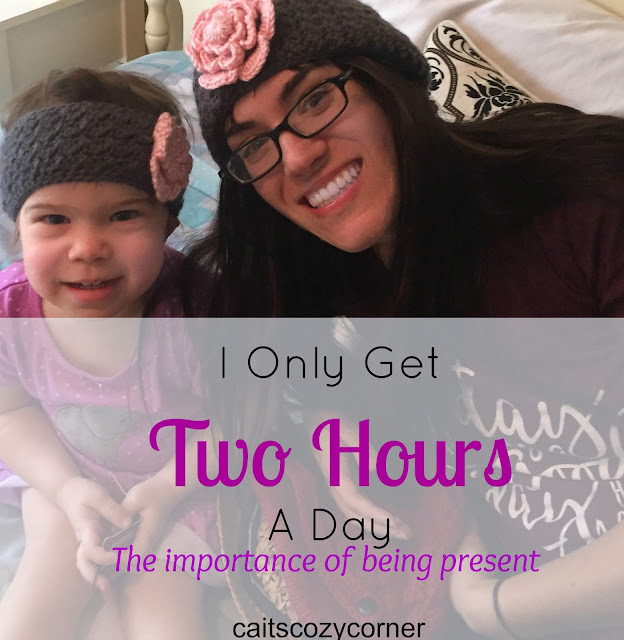 I have to tell myself to be present too... even though it's hard. I like a tidy house so I have to force myself to let the dishes sit, or dust collect. Love this! It is so tough working outside the house and only having that limited time. I think you have some great ideas on how to include her that will help. I have so often struggled with this and I will say at some point I learned to let alot of stuff go that I use to really worry about. In time I've been able to afford someone to clean my house every two weeks which is really such a blessing and as the kids get older they really can do more and more. I am constantly reminding mine the more they help me with the more time we have to be together doing something fun. You have taken the first step which is being conscious of the need to be present! Good job mom! Amen, mama! It's hard to balance life with 4 kids, so I try to get them involved in as much as possible with me, and stay up later to get everything else done! I can so relate to this! I actually have a post in my drafts regarding the same topic! I love cooking with my 3 year old! As long as he's been able to hold his head up, he's insisted on "helping" in the kitchen. My husband had to learn how to cook one handed because our son would put up the biggest fuss if Daddy wasn't holding him so he could be close to the cooking action, lol. I love this post! Thank you so much for sharing, I don't have any kids, but I do plan to be a working mom when I get older. This puts a lot in perspective. I can relate to this so much! I also get approx 2 hours with Teddy in the evening. This post is a great reminder of how those chores can wait. YES! 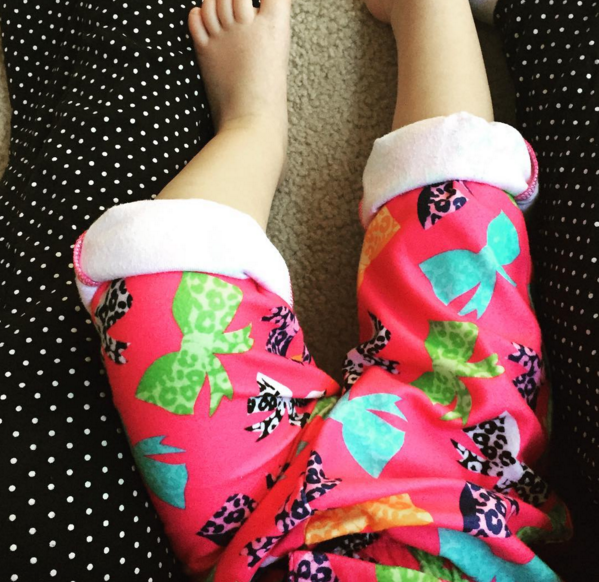 I am a full-time working mom as well, and I know the struggle is real. It's sad to have such little time to spend with my baby, and I am working on being present and not always running around doing chores. Good reminder!